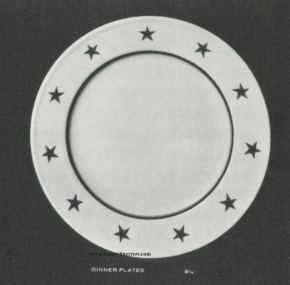 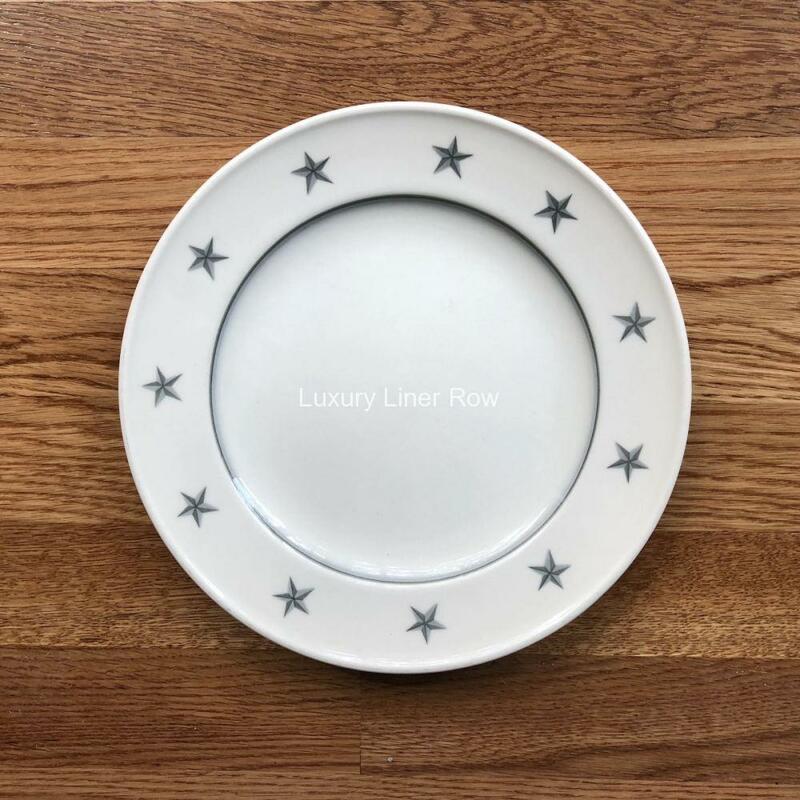 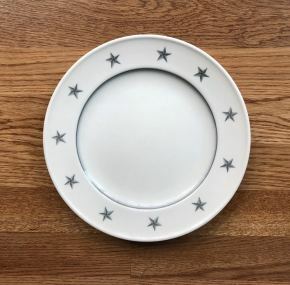 Dinner plate for the United States Lines. 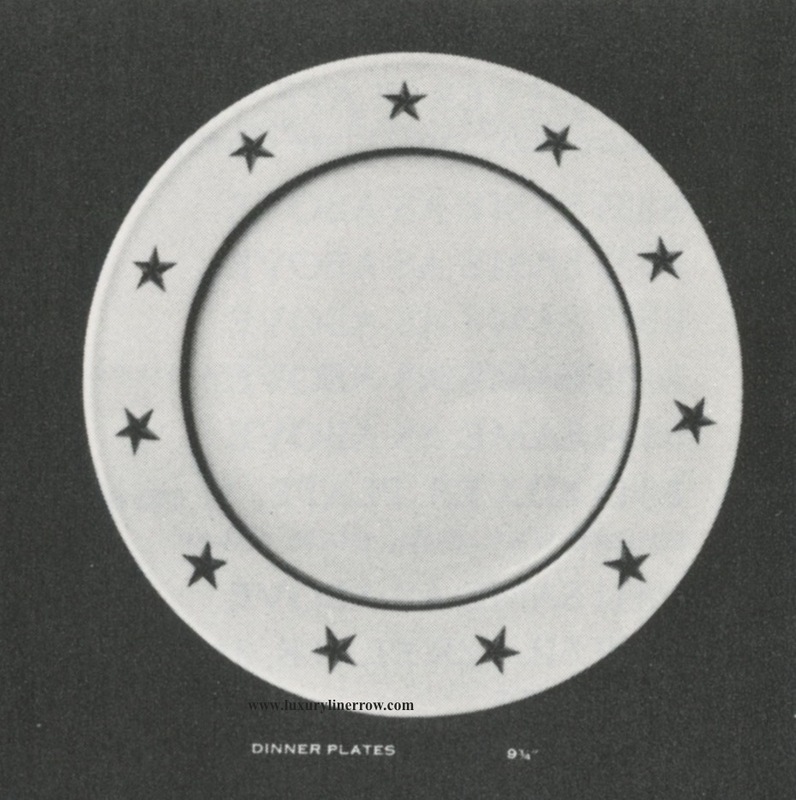 Dinner plates are not quite as common as other pieces in this pattern for some reason, even though there were thousands on board. 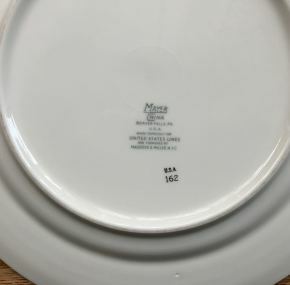 About 9½” across. Very good condition with just a few utensil marks.